It is a cumulative song, in folklore and Stith Thomson calls it a “chain song” in his Motif-Index of Folk-Literature (1955-1958). It is Roud Folk Song Index number of 68. On each of the twelve days between Christmas and Epiphany, January 6th, a new gift is offered to the loved one: a ‘partridge in a pear tree,’ 2 turtle doves, 3 French hens, 4 Calling Birds, 5 Gold Rings, 6 Geese a-Laying, 7 Swans a-Swimming, 8 Maids a-Milking, 9 ladies Dancing, 10 Lords a-Leaping, 11 Pipers Piping, 12 Drummers Drumming. 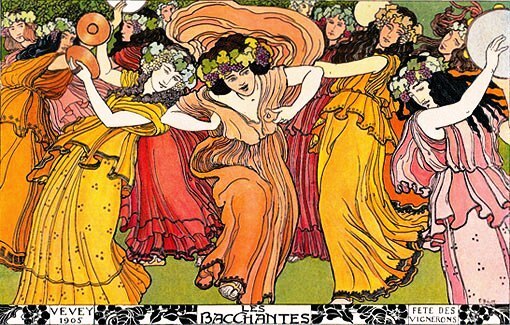 The song’s current musical form was set by Frederic Austin (30 March 1872 – 10 April 1952) and dates back to 1909. 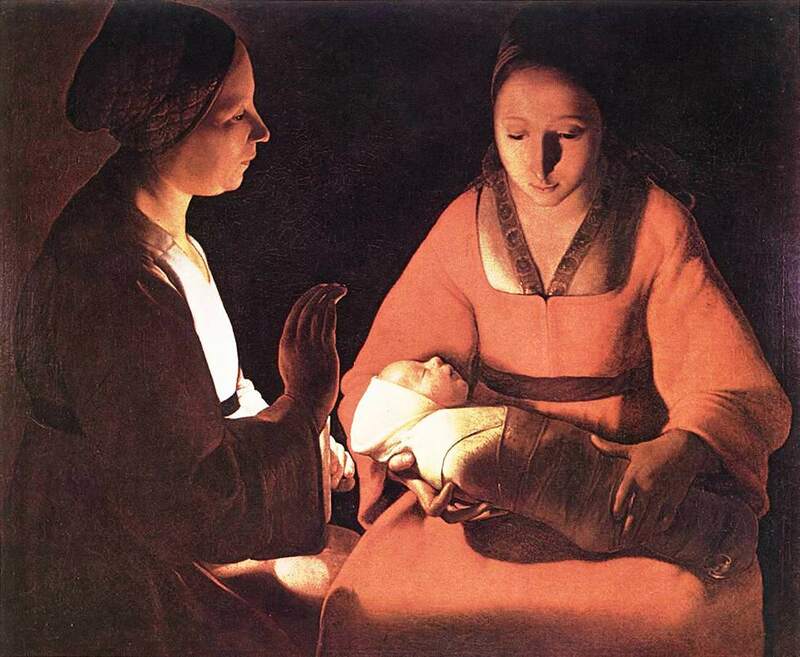 Associated with the Epiphany, the twelfth day of Christmas, or January 6th, is “We Three Kings.” The three kings are Melchior, Caspar and Balthazar. Spellings vary. The posts listed below tell the story of our Seasons, Feasts, Festivals and feature Christian Hymnology. 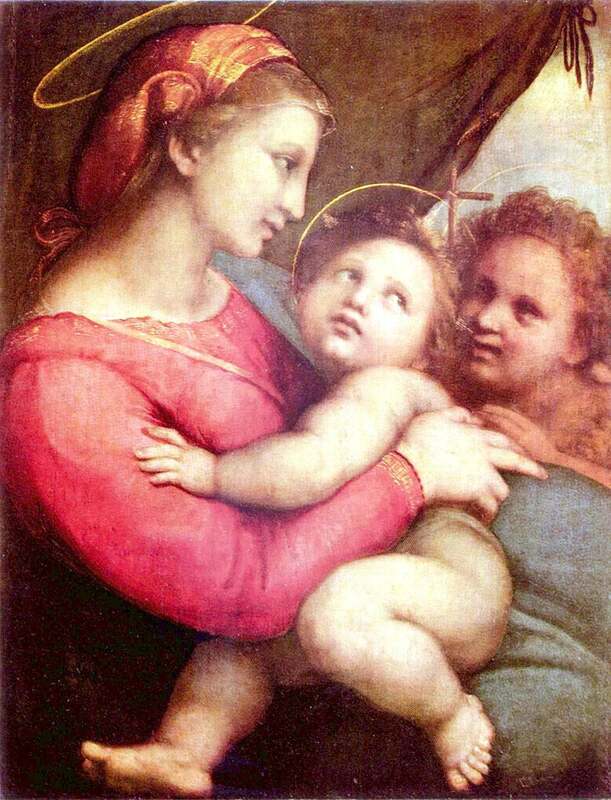 Our first feast is Christmas (“The Four Seasons…”), the origin of comedy, and posts related to the birth of Christ. I had planned to write a long an informative post today, but something is wrong with my computer. It is extremely slow. Moreover, I am feeling unwell. However, I wish to say that I grieve for the families who lost a child to Taliban terrorists. It appears these terrorists were “retaliating.” The teachings of Jesus of Nazareth therefore make more and more sense. “Turn the other cheek,” or the violence will never end. 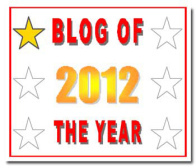 I wish to thank our colleague Petrel41 (http://dearkitty1.wordpress.com/) for nominating my blog for the Very Inspiring Blogger Award. That is a very kind gesture and I will follow all the rules as soon as my computer gains a little speed. I used the image featured above in October, in a different context: Natural Histories. 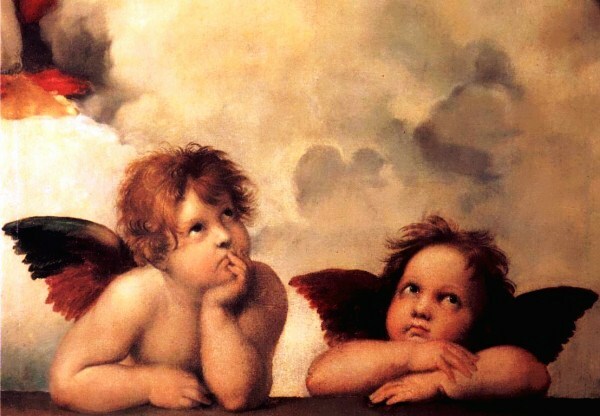 Its new context is Christmas and angels. An angel announces the birth of Christ. 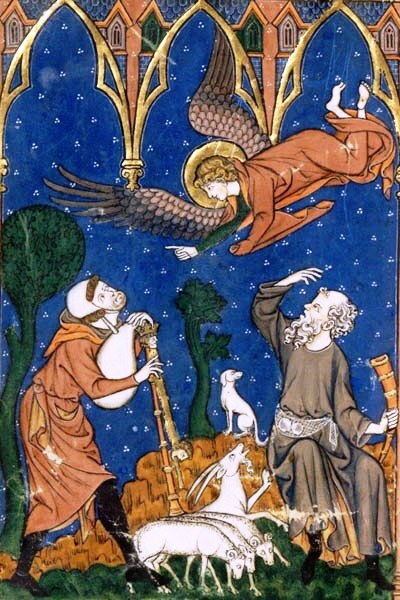 Marie Hainaut had a book of images. They were enluminures, illuminations. To view more images, click on Livre d’images de madame Marie Hainaut (Flickr). This is not another post about Le Devin du village. However, for students who use my posts in their research, I should point out that the 5 December post includes a French overture. Italian-born Lully (28 November 1632 – 22 March 1687) created the French overture. It also has a link to the complete lyrics. It’s a cold day in Quebec and people are buying gifts and special food. Christmas is still a major event in this province, but it has changed. A long time ago, it consisted of reunions and meals. People celebrated from the 25th (Midnight Mass) until Epiphany, January 6th. They went from house to house, visiting. In the very old days, transportation was easy. People had horses and sleighs with bells. Moreover, there were no telephones. Guests arrived uninvited, except that one could hear the grelots, the snow bells. A very long time ago, there was a piano in every house. Singing was extremely important. People sang Christmas carols and other favourites. There were many good singers and Church organists were easy to find. The four weeks of Advent were spent dreaming. Usually, snow had started to fall in late November or early December, sometimes earlier. I can hear the sound of boots on the hard snow. 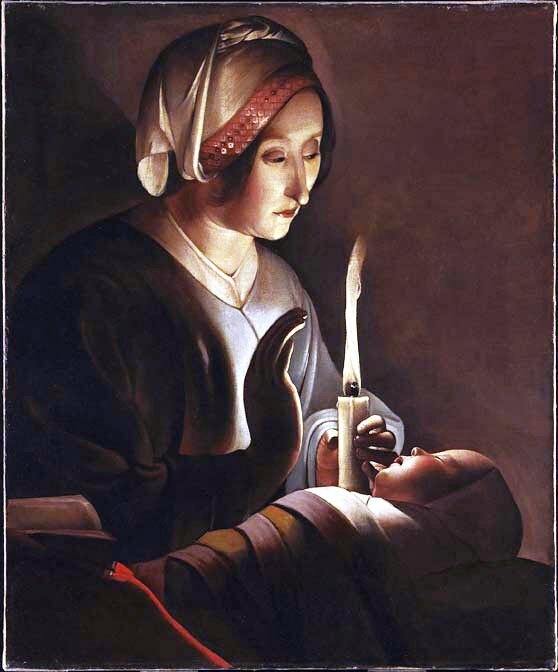 When I was a child, gifts were not very important, but my mother and her Belgian friend, Mariette, made gifts for us. They used whatever as at hand. I so loved green that every Christmas, I got a new green dress. Sometimes it was an original design. Mariette had been wardrobe mistress for the Brussels Opera. It took her less than a day to make the dress. We always attended the Christmas parade bundled up in warm clothes. My mother did not want us to miss out on anything. I was not interested in the Christmas parade. In fact, I had a doll and never played with it. I simply sat her on my bed and I looked at her admiringly. I didn’t want to touch her for fear I would break it. However, I played my piano for hours on end and read. We had books. Going to Midnight Mass was a magical event. When we returned home for the réveillon, we put little Jesus in his crib. So Christmas is coming. There will probably be a family Christmas dinner, but I do not know whether or not I will be invited. This year, I was nominated for two awards. On 4 December 2012, Carolynpageabc nominated me for a one star Blog of the Year. Had I been truly competent, I would have shared my good fortune by displaying that I was a nominee in my sidebar and by nominating WordPress colleagues for an award. I have yet to learn how to insert pictures and information in a sidebar. Dear Carolyn, I thank you most sincerely for enjoying my posts. I feel honored. 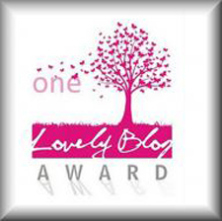 On 22 September 2012, George B. also had the kindness of nominating me for a Lovely Blog Award. I was very touched. One does not expect awards. As soon as I have learned how to decorate my sidebar, I will indicate that I had the pleasure of being nominated, simply nominated. This was a difficult year. It seems everything that could go wrong went wrong. But you did not fail me. I wish to thank George B. and Carolyn for nominating me and would like to congratulate the winners. 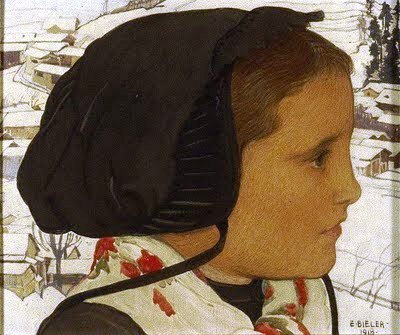 Swiss-born Ernest Biéler was an eclectic artist. He studied at the Académie Julian in Paris and won a silver medal at the Exposition Universelle de Paris in 1900. He co-founded the École de Savièse with Rafael Ritz and Édouard Vallet.